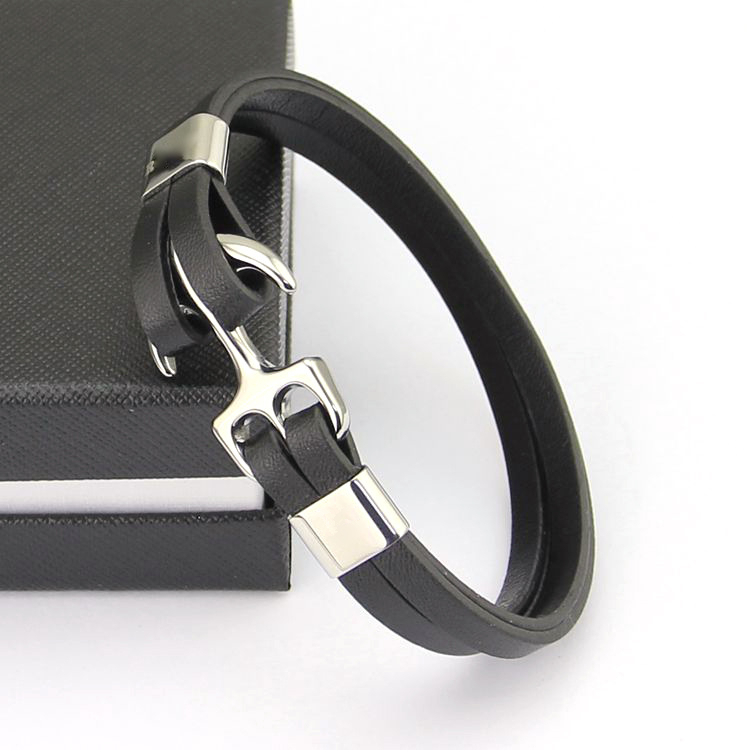 This leather anchor bracelet made by 316L stainless steel anchor with genuine flat leather.It's a trendy and popular mens bracelet. 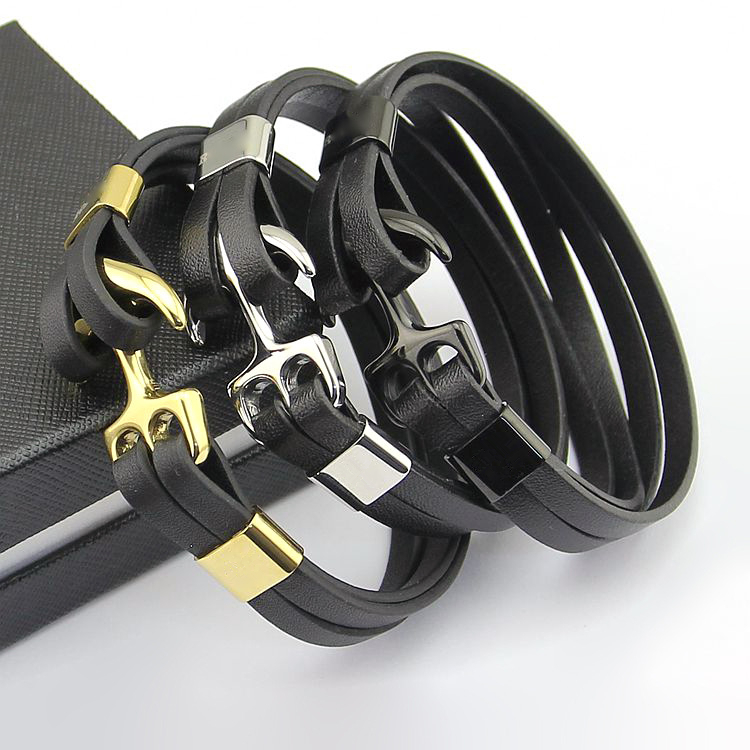 Anchor have 4 colors,silver,gold,rose gold,black.The wrist size can costom as your requirement. 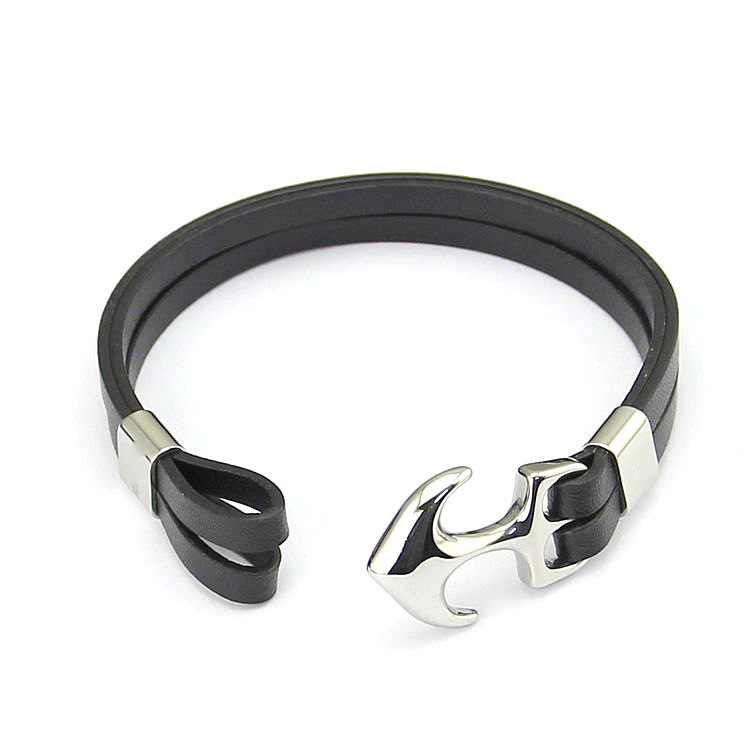 This is in line with the characteristics of the custom bracelet. Delivery Time :(1)Sample Order: 3-5business days. (2)Usual Order: 5-10 business days. Packing:1pc in a polybag, 10pcs into a big one then 100pcs into a bigger one. or according to your requirement. OEM&ODM :OEM/ODM order is welcome, Please feel free to contact us for more info. Looking for ideal Custom Anchor Bracelet Manufacturer & supplier ? We have a wide selection at great prices to help you get creative. 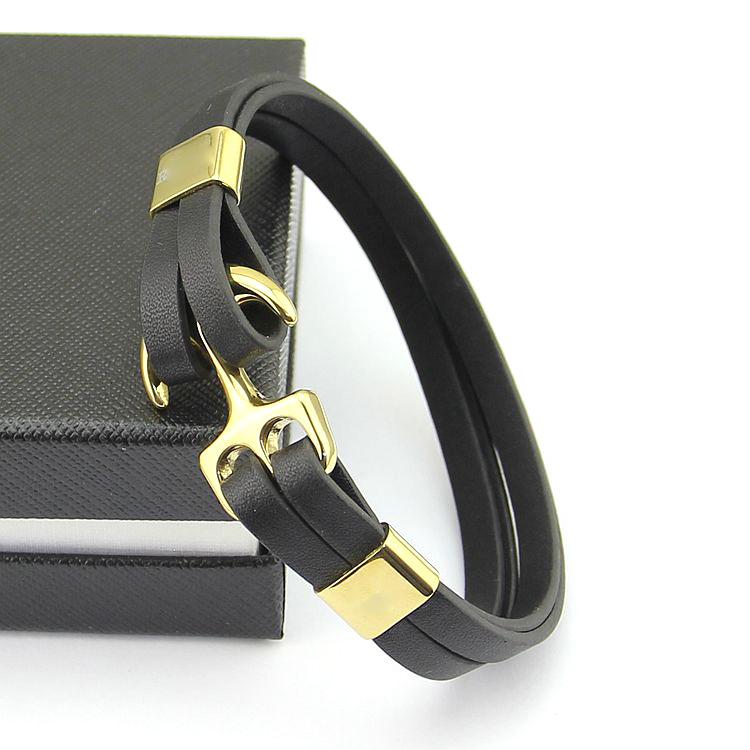 All the Leather Anchor Bracelet are quality guaranteed. 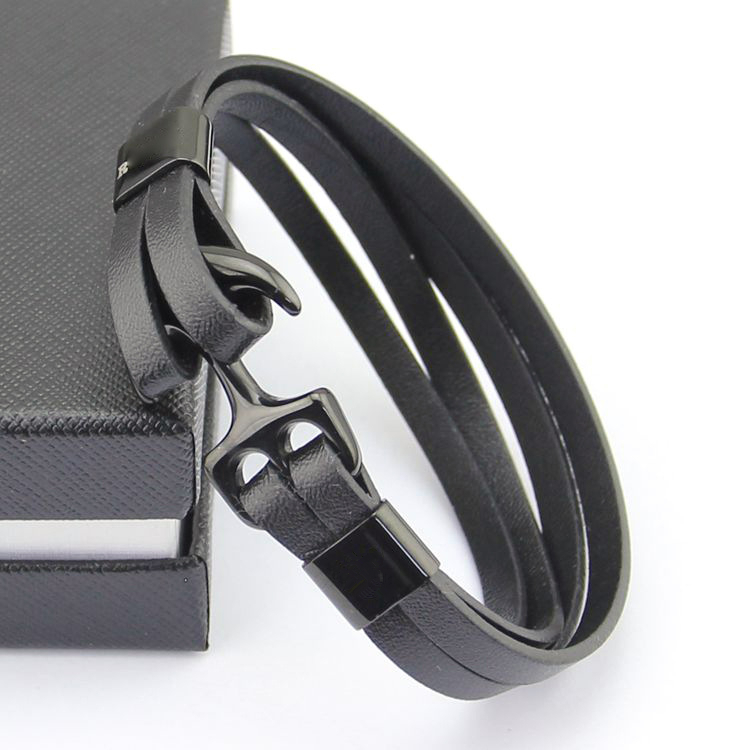 We are China Origin Factory of Genuine Leather Bracelet. If you have any question, please feel free to contact us.